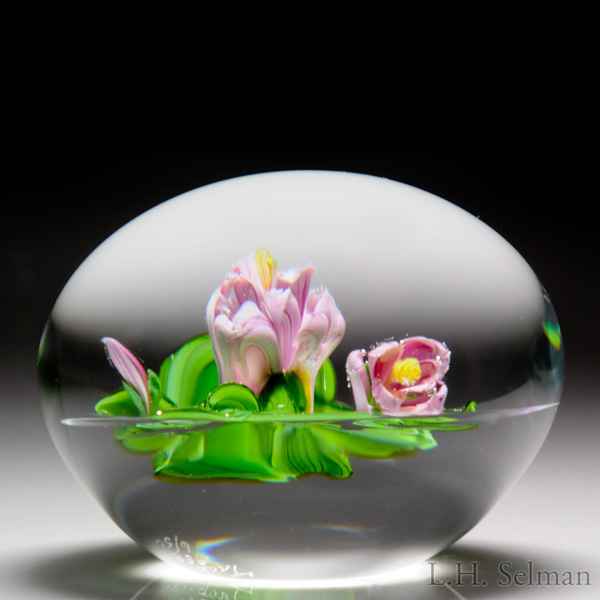 Victor Trabucco 1982 camellias and bud paperweight. A pair of shaded pink camellias blooms on stems, with a slender pink bud and several green leaves, over clear ground. Edition #6 of a limited edition of 50. Signature cane. Signed/dated. Minor surface wear. Diameter 3".